Providence native, noted historian and librarian, and the author of Young America: the Flowering of Democracy in New York City (1998), Ark of the Liberties: America and the World (2008) and Martin Van Buren (2005), Ted Widmer, has produced a thoroughly entertaining history of Brown University that is well-written, impeccably researched and benefits from copious footnotes. (Disclosure: Ted Widmer and Rudy Cheeks have been friends for the past 25 years). 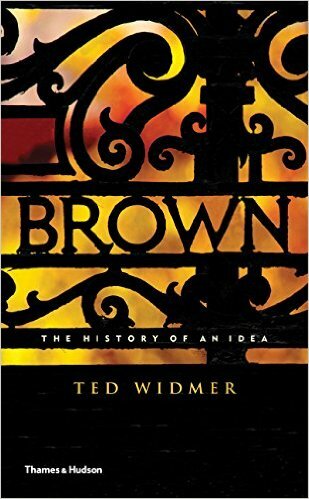 Much of the book is not just about Brown, but about the city of Providence in the 1700s, when our city and Brown University were closely intertwined. The book is especially good at capturing many of the colorful characters associated with Brown over the centuries. The decades between the two World Wars were not Brown’s finest hour. It became a dumping ground for the academically disinclined descendants of plutocratic families, who were desirous of social prestige. Muckraker Upton Sinclair dismissed Brown as “a school for spoiled rich kids.” Nonetheless, the university attracted some students destined to make their marks. In 1921, Sidney Joseph Perelman, a local lad from modest means, trudged up College Hill where he found his true calling. He cartooned and wrote for The Brown Jug, the campus humor magazine. Before he collected his sheepskin, he drifted off to the Big Apple and eventually, The New Yorker magazine. From there he went to Hollywood and wrote screenplays for the Marx Brothers, who he had seen on the vaudeville stage while a young student in Providence. One such movie, titled Horsefeathers, was a satire of the college frolics movies so popular at the time. S.J. included every scandalous aspect of college life allowed by the film censors of the time. Many of these elements bear a striking resemblance to real life situations from Brown’s checkered past. “Priestess” Sarah Helen Whitman (former lover of Edgar Allan Poe) was most likely one of the inspirations for the college widow in the movie. (One interesting factoid that Widmer uncovers is that Ms. Whitman, who generally dressed entirely in white, would sprinkle ether, instead of perfume, on her clothing. She also had the distinction of having introduced impressionable Brown undergraduate, John Hay (who would go on to become President Abraham Lincoln’s private secretary and Secretary of State under Presidents William McKinley and Theodore Roosevelt) to hashish.) Likewise, the obsession with football at Groucho’s fictional Huxley College reflects that sport’s intense popularity at Brown during the first decades of the 20th century. This presumed film homage to the unattractive parts of Brunonian history bestows upon the university the distinction of being the original Animal House – sorry, Chris Miller, sorry Dartmouth!